Celebrate Easter with an egg-citing egg hunt on Long Island! Watch as the kids have a blast running around looking for eggs at an Easter egg hunt on Long Island! When it comes to Easter excitement nothing beats an exhilarating egg hunt! From soaking up some sunshine while running around outside searching for eggs, to putting critical thinking skills to the test, whether the hidden eggs themselves are filled with candy, money, or other small treats and trinkets, the pursuit is certainly the most entertaining and invigorating part of the hunt. Bring your basket and get ready for a fun time Easter egg hunting with the kids on Long Island! Head to the Food Court for activities, breakfast, face painting, an Easter egg hunt and more! The first 200 children will receive goodie bags. Must register for event. Children 12 years of age and younger are invited to join in on this Easter egg hunt to benefit St. Mary’s Children’s Hospital. Head to the link in the event for tickets. Come visit with the SPring Bunny and partake in an exciting egg hunt on the beach. Enjoy a visit with the bunny, an egg hunt, petting zoo, games and more! The whole family will enjoy playing on bounce houses and carnival games, looking for over 10,000 eggs stuffed with candy, listening to music and more. Participate in an Easter egg hunt, eat cotton candy, have fun in bouncy houses and more brought to you by the Vineyard Church! 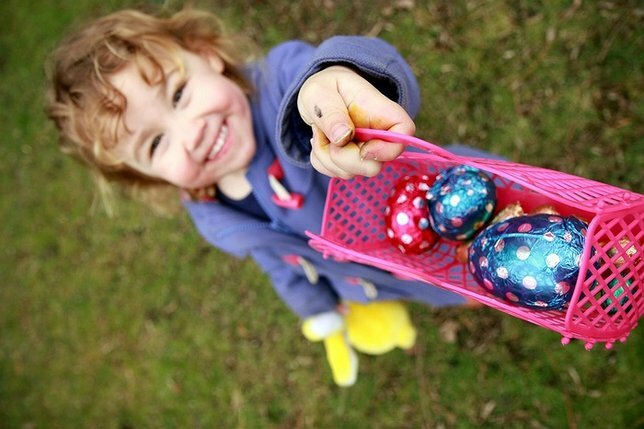 Bring your basket and partake in an egg hunt at the Spring Egg Hunt at Cold Spring Harbor Fish Hatchery & Aquarium then explore the hatchery afterwards! Sit down to an Easter Sunday Brunch, with unlimited Mimosas and Bloody Marys for those 21+, take pictures with the Easter Bunny and participate in an Easter egg hunt. Join Ocean Restaurant on April 16th, for a special 3-course, prefix Easter menu featuring four seatings starting at 11:30 am through a special 7 PM sunset seating. There will also be an Easter egg hunt on the beach! Head to Harborfront Park for an Easter Parade and Easter egg hunt! The parade begins in front of Theatre Three on Main Street and the hunt will take place at 12:30 PM. Winter Bucket List 2015-16: Long Island's Can’t-Miss Festive Seasonal Fun! Subject: LongIsland.com - Your Name sent you Article details of "Egg-cellent 2017 Easter Egg Hunts Happening on Long Island"